Description Kite has a delicate and lightweight appearance whilst retaining a structural strength and beauty. 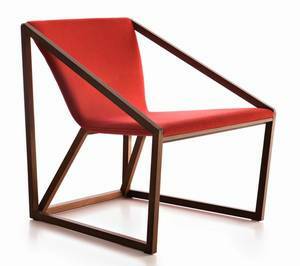 The construction of the chair means it can support a a significant weight in a comfortable and relaxed way. The seat is sprung with elastic webbing, padded with polyurethane foam and upholstered in a wide choice of fabric and leather options (see samples below). See wood colour chart for available frame colours. Matching dining chair and various tables also available, see related products below.